We are an eminent firm recognized as the leading Manufacturer and Supplier of Electronics Controls Panel,Water Level Controller etc. These products are known for their sturdiness and flawless finish. 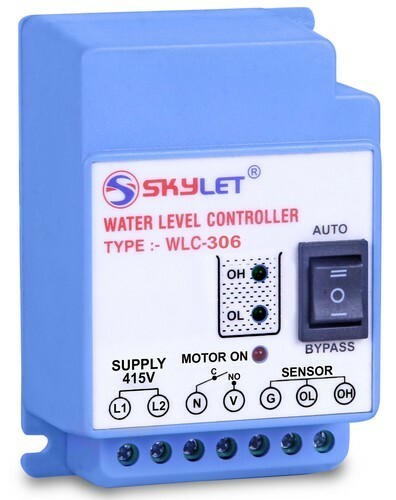 We are a renowned manufacturer and supplier of the best quality Water Level Controller, Auto Switch, Dry Run Protection Relay, Three Phase DOL Starter, Shock Controller, etc. Offered products are manufactured by our ingenious professionals using optimum quality components and pioneering technology in tune with market quality standards. These products are highly treasured by the patrons due to their qualitative attributes such as sturdy construction, excellent finish, easy to install, application specific design, thermal resistance, shock proof, ruggedness, excellent quality, etc. Also, we provide these products at industry leading prices to the clients.